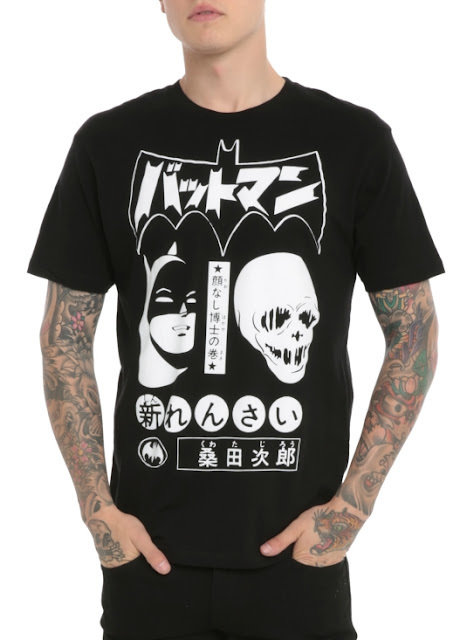 BAT - BLOG : BATMAN TOYS and COLLECTIBLES: HOT TOPIC Goes #BATMAN BAT-MANGA Crazy!! 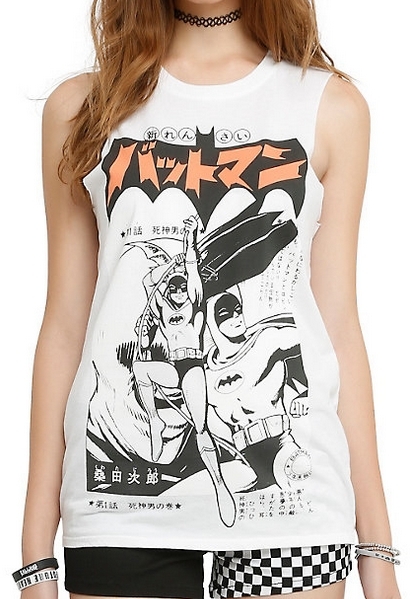 HOT TOPIC Goes #BATMAN BAT-MANGA Crazy!! 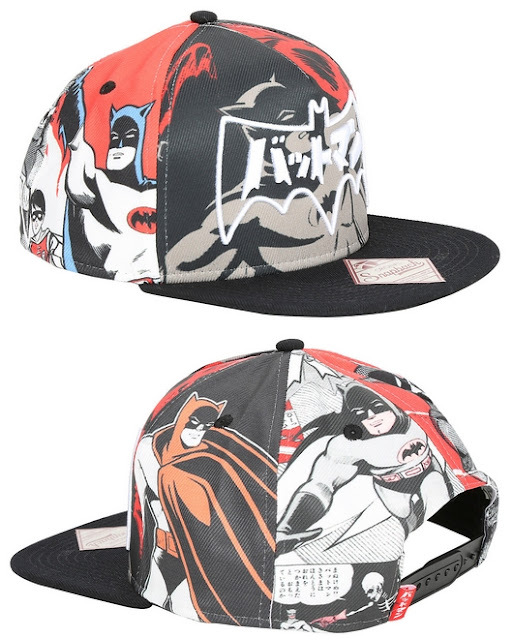 Here's a quick post to share some fun news about a few brand-new BATMAN products that have a Bat-Manga theme! 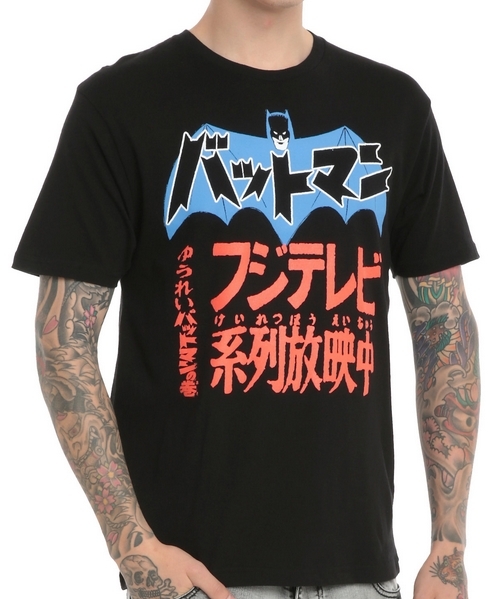 Over at HOT TOPIC it seems like they have gone crazy with the Bat-Manga merchandise. There are 4 different T-Shirts and also a very cool Baseball Cap! If you're unfamiliar with Bat-Manga then you need to read Chip Kidd's book, "Bat-Manga: The Secret History of Batman in Japan (Pantheon)" that came out in 2008. This book is what has inspired all the cool products you see here. 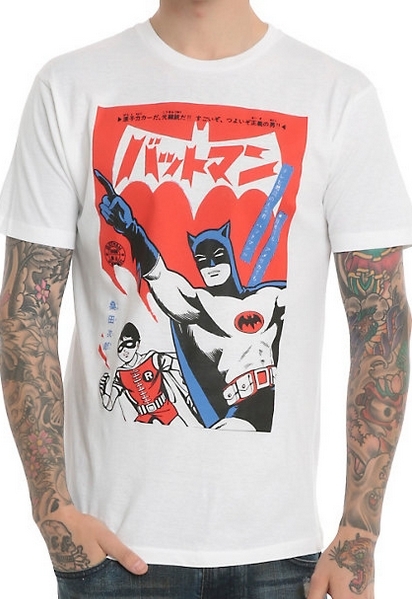 It reprints some classic Japanese comics from the 1960's with amazing artwork by Jiro Kuwata and it also has a ton of photos of cool Vintage Batman Toys that are all super-rare.